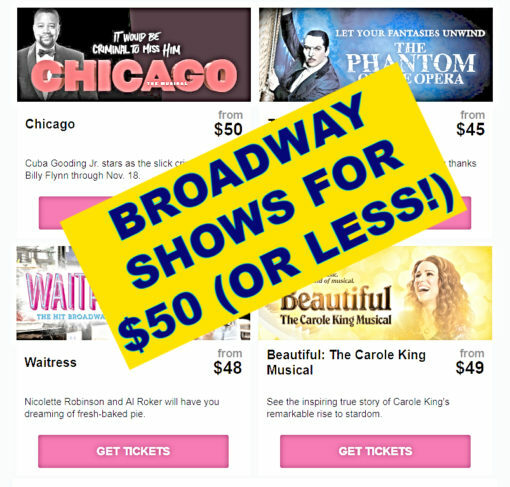 We all know that Broadway Shows aren’t cheap. I mean, seeing a movie can run you $15 a ticket depending on what city you live in, so it only makes sense that seeing a live show is going to require one to shell out more money. That said, not every show is Wicked ($200+) or Hamilton ($500+) where great seats can break the bank.